The FBI still insists it had the right man in Bruce Ivins, an Army biologist who committed suicide in 2008 before being charged with the mailings that killed five people. But an in-depth look by ProPublica, PBS and McClatchy found new evidence challenging the government’s claims. This story is a joint project with ProPublica, PBS Frontline and McClatchy. The story will air on Frontline on Oct. 11. Check local listings. 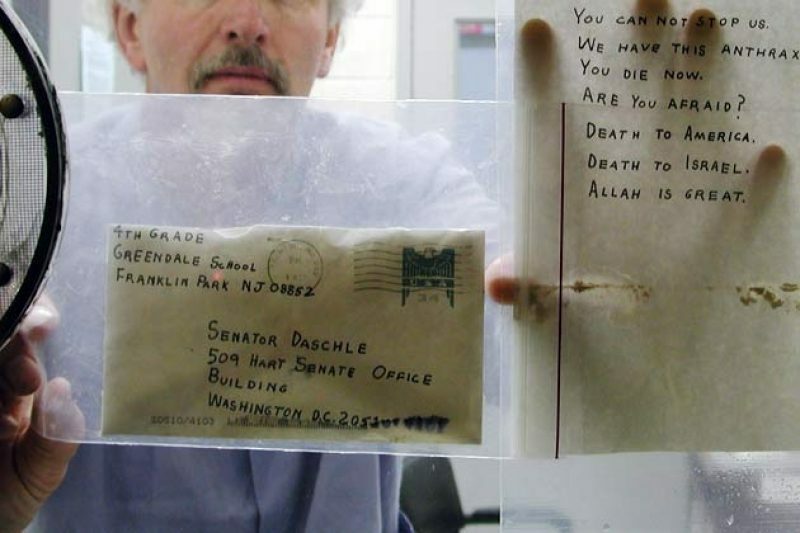 WASHINGTON – Months after the anthrax mailings that terrorized the nation in 2001, and long before he became the prime suspect, Army biologist Bruce Ivins sent his superiors an email offering to help scientists trace the killer. Already, an FBI science consultant had concluded that the attack powder was made with a rare strain of anthrax known as Ames that's used in research laboratories worldwide. In his email, Ivins volunteered to help take things further. He said he had several variants of the Ames strain that could be tested in “ongoing genetic studies" aimed at tracing the origins of the powder that had killed five people. He mentioned several cultures by name, including a batch made mostly of Ames anthrax that had been grown for him at an Army base in Dugway, Utah. To many of Ivins’ former colleagues at the germ research center in Fort Detrick, Md., where they worked, his invitation to test the Dugway material and other spores in his inventory is among numerous indications that the FBI got the wrong man. What kind of murderer, they wonder, would ask the cops to test his own gun for ballistics? To prosecutors, who later branded Ivins the killer in a lengthy report on the investigation, his solicitous email is trumped by a long chain of evidence, much of it circumstantial, that they say would have convinced a jury that he prepared the lethal powder right under the noses of some of the nation’s foremost bio-defense scientists. PBS' Frontline, McClatchy and ProPublica have taken an in-depth look at the case against Ivins, conducting dozens of interviews and reviewing thousands of pages of FBI files. Much of the case remains unchallenged, notably the finding that the anthrax letters were mailed from Princeton, N.J., just steps from an office of the college sorority that Ivins was obsessed with for much of his adult life. But newly available documents and the accounts of Ivins’ former colleagues shed fresh light on the evidence and, while they don't exonerate Ivins, are at odds with some of the science and circumstantial evidence that the government said would have convicted him of capital crimes. While prosecutors continue to vehemently defend their case, even some of the government’s science consultants wonder whether the real killer is still at large. Prosecutors have said Ivins tried to hide his guilt by submitting a set of false samples of his Dugway spores in April 2002. Tests on those samples didn’t display the telltale genetic variants later found in the attack powder and in sampling from Ivins’ Dugway flask. Yet records discovered by Frontline, McClatchy and ProPublica reveal publicly for the first time that Ivins made available at least three other samples that the investigation ultimately found to contain the crucial variants, including one after he allegedly tried to deceive investigators with the April submission. Paul Kemp, who was Ivins’ lawyer, said the government never told him about two of the samples, a discovery he called “incredible." The fact that the FBI had multiple samples of Ivins’ spores that genetically matched anthrax in the letters, Kemp said, debunks the charge that the biologist was trying to cover his tracks. Asked about the sample submissions, as well as other inconsistencies and unanswered questions in the Justice Department’s case, lead federal prosecutor Rachel Lieber said she was confident that a jury would have convicted Ivins. “You can get into the weeds, and you can take little shots of each of these aspects of our vast, you know, mosaic of evidence against Dr. Ivins,” she said in an interview. But in a trial, she said, prosecutors would have urged jurors to see the big picture. Scientists who worked on the FBI’s case do not all share her certainty. Claire Fraser-Liggett, a genetics consultant whose work provided some of the most important evidence linking Ivins to the attack powder, said she would have voted to acquit. “I don’t know how it would have been possible to convict him," said Fraser-Liggett, the director of the University of Maryland’s Institute for Genome Sciences. “Should he have had access to a potential bio-weapon, given everything that’s come to light? I’d say no. Was he just totally off the wall, from everything I’ve seen and read? I’d say yes. “But that doesn’t mean someone is a cold-blooded killer." The Justice Department formally closed the anthrax case last year. In identifying Ivins as the perpetrator, prosecutors pointed to his deceptions, his shifting explanations, his obsessions with the sorority and a former lab technician, his penchant for taking long drives to mail letters under pseudonyms from distant post offices and, after he fell into drinking and depression with the FBI closing in, his violent threats during group therapy sessions. An FBI search of his home before he died turned up a cache of guns and ammunition. Most of all, though, prosecutors cited the genetics tests as conclusive evidence that Ivins’ Dugway spores were the parent material to the powder. Yet, the FBI never could prove that Ivins manufactured the dry powder from the type of wet anthrax suspensions used at Fort Detrick. It couldn’t prove that he scrawled letters mimicking the hateful rhetoric of Islamic terrorists. And it couldn’t prove that he twice slipped away to Princeton to mail the letters to news media outlets and two U.S. senators; it could prove only that he had an opportunity to do so undetected. The $100 million investigation did establish that circumstantial evidence could mislead even investigators armed with unlimited resources. Before focusing on Ivins, the FBI spent years building a case against another former Army scientist. Steven Hatfill had commissioned a study on the effectiveness of a mailed anthrax attack and had taken ciprofloxacin, a powerful antibiotic used to treat or prevent anthrax, around the dates of the mailings. Then-Attorney General John Ashcroft called Hatfill a “person of interest,” and the government eventually paid him a $5.8 million settlement after mistakenly targeting him. Ivins’ colleagues and some of the experts who worked on the case wonder: Could the FBI have made the same blunder twice? Did Ivins have a motive? Growing up in Ohio, the young Bruce Ivins showed an early knack for music and science. But his home life, described as “strange and traumatic” in a damning psychological report released after his death, left scars that wouldn’t go away. The report, written by a longtime FBI consultant and other evaluators with court-approved access to Ivins’ psychiatric records, said Ivins was physically abused by a domineering and violent mother and mocked by his father. Ivins developed “the deeply felt sense that he had not been wanted,” the authors found, and he learned to cope by hiding his feelings and avoiding confrontation with others. Ivins attended the University of Cincinnati, staying there until he earned a doctoral degree in microbiology. In his sophomore year, prosecutors say, the socially awkward Ivins had a chance encounter that influenced his life: A fellow student who belonged to the Kappa Kappa Gamma sorority spurned him. For more than 40 years, even as a married man, Ivins was obsessed with KKG, a fixation that he later admitted drove him to multiple crimes. Twice he broke into chapters, once climbing through a window and stealing the sorority’s secret code book. After taking a research job at the University of North Carolina at Chapel Hill, Ivins discovered that a doctoral student, Nancy Haigwood, was a KKG alumna, and he tried to strike up a friendship. When she kept him at a distance, Ivins turned stalker, swiping her lab book and vandalizing her fiance’s car and the fence outside her home. Two decades later, when Haigwood received an FBI appeal for scientists nationwide to help find the anthrax mailer, she instantly thought of Ivins and phoned the FBI. Investigators didn’t home in on him for years. When they did, the mailbox in Princeton, which also was near the home of a former Fort Detrick researcher whom Ivins disliked, loomed large. Ivins gained self-esteem and status in his job as an anthrax researcher at the U.S. Army Medical Research Institute of Infectious Diseases at Fort Detrick in Frederick, Md. Even so, his fixations wouldn’t quit. Later, after snooping on email messages in which the two technicians discussed him, Ivins told a therapist that he’d schemed to poison Linscott but aborted the plan at the last minute. USAMRIID was once a secret germ factory for the Pentagon, but the institute’s assignment shifted to vaccines and countermeasures after the United States and Soviet Union signed an international treaty banning offensive weapons in 1969. A decade later, a deadly leak from a secret anthrax-making facility in the Soviet city of Sverdlovsk made it clear that Moscow was cheating and prompted the United States to renew its defensive measures. Ivins was among the first to be hired in a push for new vaccines. By the late 1990s, he was one of USAMRIID’s top scientists, but the institute was enmeshed in controversy. Worried that Iraqi leader Saddam Hussein had made large quantities of anthrax before the 1991 Persian Gulf War, President Bill Clinton had ordered that all military personnel, not just those in war zones, be inoculated with a 1970s-era vaccine. But soldiers complained of ill health from the vaccine, some blaming it for the symptoms called Gulf War Syndrome. Later, Karl Rove, political adviser to new President George W. Bush, suggested that it was time to stop the vaccinations. Further, a Pentagon directive—although quickly reversed in 2000—had ordered a halt to research on USAMRIID’s multiple anthrax-vaccine projects. Federal prosecutors say these developments devastated Ivins, who'd devoted more than 20 years to anthrax research that was now under attack. Ivins’ former bosses at Fort Detrick call that Justice Department characterization wrong. Ivins had little to do with the existing vaccine; rather, he was working to replace it with a better, second-generation version, they say. Months earlier, Andrews said, the Pentagon had approved a full year’s funding for research on the new vaccine and was mapping out a five-year plan to invest well over $15 million. Published reports have suggested that Ivins had another motive: greed. He shared patent rights on the new vaccine. If it ever reached the market, after many more years of testing and study, federal rules allowed him to collect up to $150,000 in annual royalties. If that was his plan, it didn’t go well. After the attacks, Congress approved billions of dollars for bio-defense and awarded an $877.5 million contract to VaxGen Inc. to make the new vaccine but scrapped it when the California firm couldn’t produce the required 25 million doses within two years. Ivins received modest royalty payments totaling at least $6,000. He told prosecutors he gave most of the money to others who had worked with him on the project, said Kemp, his defense attorney. Kemp said prosecutors told him privately that they’d dismissed potential financial returns as a motive. That incentive wasn’t cited in the Justice Department’s final report. Did Ivins have an opportunity? 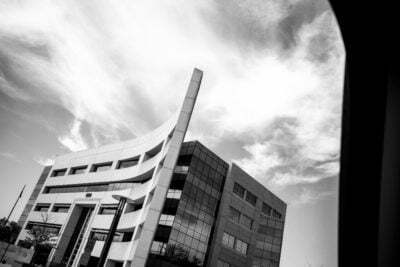 The relatively lax security precautions in place at U.S. defense labs before the mailings and Sept. 11 terrorist attacks offered many opportunities for a deranged scientist. Prosecutors said Ivins had easy access to all the tools needed to make the attack spores and letters. Researchers studying dangerous germs work in a “hot suite," a specially designed lab sealed off from the outside world. The air is maintained at “negative pressure” to prevent germs from escaping. Scientists undress and shower before entering and leaving. Like many of his colleagues at Fort Detrick, Ivins dropped by work at odd hours. In the summer and fall of 2001, his night and weekend time in the hot suite spiked: 11 hours and 15 minutes in August, 31 hours and 28 minutes in September and 16 hours and 13 minutes in October. He'd averaged only a couple of hours in prior months. Swiping a security card each time he entered and left the suite, he created a precise record of his visits. Rules in place at the time allowed him to work alone. Sometime before the mailings, prosecutors theorize, Ivins withdrew a sample of anthrax from his flask—labeled RMR-1029—and began to grow large quantities of the deadly germ. If so, his choice of strains seemed inconsistent with the FBI’s portrait of him as a cunning killer. Surrounded by a veritable library of germs, they say, Ivins picked the Dugway Ames spores, a culture that was expressly under his control. Using the Ames strain “pointed right at USAMRIID," said W. Russell Byrne, who preceded Andrews as the chief of the Bacteriology Division and who's among those convinced of Ivins’ innocence. “That was our bug." Federal prosecutors have declined to provide a specific account of when they think Ivins grew spores for the attacks or how he made a powder. But the steps required are no mystery. First, he would have had to propagate trillions of anthrax spores for each letter. The bug can be grown on agar plates (a kind of petri dish), in flasks or in a larger vessel known as a fermenter. Lieber, then an assistant U.S. attorney and lead prosecutor, said the hot suite had a fermenter that was big enough to grow enough wet spores for the letters quickly. To make the amount of powder found in the letters, totaling an estimated 4 to 5 grams, Ivins would have needed 400 to 1,200 agar plates, according to a report by a National Academy of Sciences panel released in May. Growing it in a fermenter or a flask would have been less noticeable, requiring between a few quarts and 14 gallons of liquid nutrients. Investigators haven’t said whether they think the Sept. 11 attacks prompted Ivins to start making the powder or to accelerate a plan already under way. However, records show that on the weekend after 9/11, Ivins spent more than two hours each night in the hot suite on Friday, Saturday and Sunday. The next afternoon, Monday, Sept. 17, 2001, he took four hours of annual leave but was back at USAMRIID at 7 p.m. Because of their Sept. 18 postmarks, the anthrax-laced letters had to have been dropped sometime between 5 p.m. Monday and Tuesday’s noon pickup at a mailbox at 10 Nassau St. in Princeton. If Ivins did make the seven-hour round-trip drive from Fort Detrick, he would've had to travel overnight. Investigators said he reported to USAMRIID at 7 a.m. Tuesday for a business trip to Pennsylvania. Did Ivins have the means? Colleagues who worked with Ivins in the hot suite and think that he's innocent say he'd never worked with dried anthrax and couldn’t have made it in the lab without spreading contamination. Andrews, Ivins’ former boss, said Ivins didn’t know how to use the fastest process, the fermenter, which Andrews described as “indefinitely disabled,” with its motor removed. He said the freeze dryer was outside the hot suite, so using it would have exposed unprotected employees to lethal spores. Without a fermenter, it would have taken Ivins “30 to 50 weeks of continuous labor” to brew spores for the letters, said Henry Heine, a former fellow Fort Detrick microbiologist who's now with the University of Florida. Prosecutors and a National Academy of Sciences panel that studied the case said the anthrax could have been grown as quickly as a few days, though they didn't specify a method. FBI searches years later found no traces of the attack powder in the hot suite, lab and drying equipment. Fraser-Liggett, the FBI’s genetics consultant, questioned how someone who perhaps had to work “haphazardly, quickly" could have avoided leaving behind tiny pieces of forensically traceable DNA from the attack powder. Lieber, the Justice Department prosecutor, said the FBI never expected to find useable evidence in the hot suite after the equipment had been cleaned multiple times. “This notion that someone could have stuck a Q-tip up in there and found, you know, a scrap of ‘1029’ DNA, I think is, with all due respect, it’s inconsistent with the reality of what was actually happening," she said. Yet, in 2007, six years after the letters were mailed, the FBI carefully searched Ivins’ home and vehicles looking for, among other things, anthrax spores. None were found. The first round of anthrax letters went to an eclectic media group: Tom Brokaw, the NBC anchor; the tabloid newspaper the New York Post; and the Florida offices of American Media Inc., which publishes the National Enquirer. Just over two weeks later, on Oct. 4, jittery Americans were startled to learn that a Florida photo editor, Robert Stevens, had contracted an extremely rare case of inhalation anthrax. Stevens died the next day. As prosecutors tell the story, Ivins would hit the road to New Jersey again as early as Oct. 6, carrying letters addressed to the offices of Democratic Sens. Patrick Leahy, the Judiciary Committee chairman from Vermont, and Tom Daschle of South Dakota, the Senate majority leader. Unlike the brownish, granular, impure anthrax in the earlier letters, this batch was far purer, with tiny particles that floated like a gas, making them more easily inhaled and therefore deadlier. Just a few hours before those letters were dropped at Nassau Street, investigators had a scientific breakthrough: Paul Keim, an anthrax specialist at Northern Arizona University, verified that the spores in Stevens’ tissues were the Ames strain of anthrax. “It was a laboratory strain,” Keim recalled later, “and that was very significant to us." On Oct. 15, an intern in Daschle’s office opened a nondescript envelope with the return address “4th Grade, Greendale School, Franklin Park, NJ 08852." A white powder uncoiled from the rip, eventually swirling hundreds of feet through the Hart Senate Office Building, where dozens of senators work and hold hearings. It would take months and millions of dollars to fully cleanse the building of spores. Ill-prepared to investigate America’s first anthrax attack, the FBI didn't have a properly equipped lab to handle the evidence, so the Daschle letter and remaining powder were taken to Fort Detrick. Among those immediately enlisted to examine the attack powder: Bruce Ivins. “It is an extremely pure preparation, and an extremely high concentration," Ivins wrote on Oct. 18, 2001. “These are not 'garage' spores."